The question of how to measure ring size is an age-old difficulty, experienced by men and women alike. 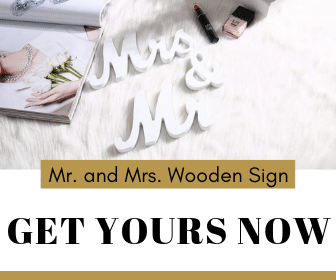 You may be searching out your ideal engagement ring, hunting for the perfect wedding band, or simply shopping for a new addition to your jewelry repertoire. Whatever your shopping needs, knowing what your ring size is and how to measure it certainly makes the process as a whole seamlessly smooth. If you are not quite ready to shop yet, but wondering whether you need to make a visit to the jewelry store before you can determine what your unique ring size is, fear not. In reality, it is quite simple to take your specific ring size measurements in the uninterrupted comfort of your home, utilizing one of several methods. 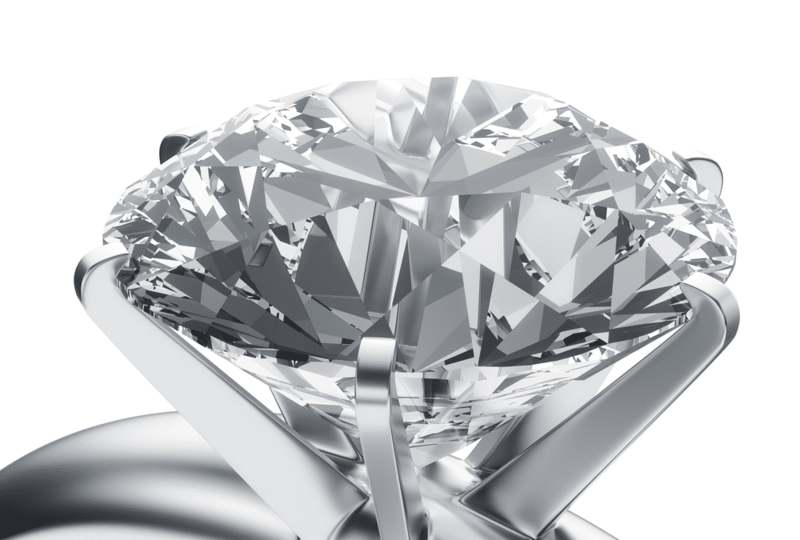 Essentially, there are a variety of different options available to determine ring size and help you decide which selection is right for you before you ever make a visit to the jewelers. This aids in making the process of shopping for and choosing the perfect ring for your special purposes an enjoyable and seamless experience. What Size Ring Fits You? Before you measure your finger to determine what size ring will be most suitable, it is important to be aware of several factors that can affect the ultimate measurements. These factors include the temperature of your body as well as the weather outside, variance in finger size based on a given day, and some miscellaneous elements. Bear in mind, that you will likely need to measure the finger ring is meant for 3 or 4 times to ensure an accurate, steady reading. This will help to rule out any inconsistencies and serve to ensure that you select the correct size for the perfect ring of your choosing. To ensure that you know how to measure ring size accurately, you must first be cognizant of the temperature of your hands at the time the measurements are taken. Both the time of day and the climate can alter your ring size at any given interval. In the early hours of the morning or during cold weather, your ring size contracts as your fingers do. 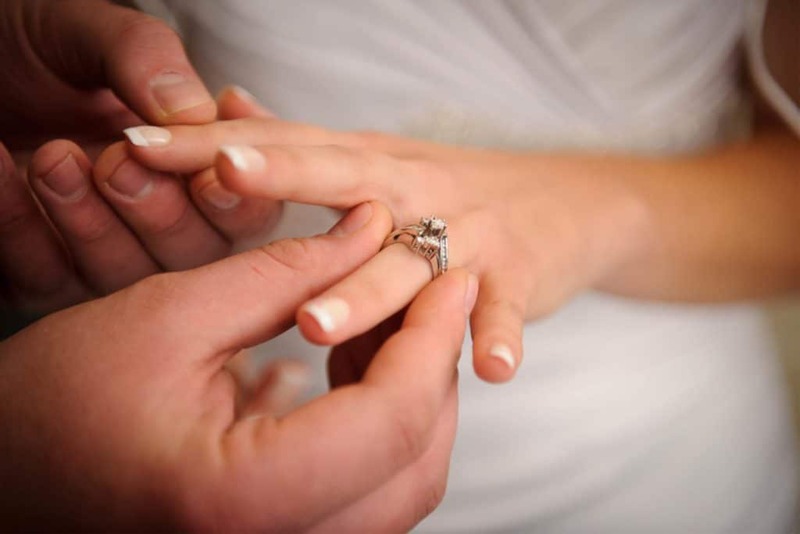 However, during the warm months or in the evening, your ring size expands as your fingers are larger. As such, the most effective and accurate measurements are taken in the evening. Taking measurements in the evening will result in you selecting a piece of jewelry that gives your finger enough room to expand during warmer weather or times of the day. This also helps assure that the ring you choose will not fit tightly or uncomfortably. If you find yourself unsure whether one ring size is more accurate than the other, be sure and choose the greater of the two. This helps to make certain that your ring will be tight enough not to slip off while still being large enough to slide down your finger with ease. Alternatively, if your knuckle happens to be wider than the bottom of your finger, go ahead and measure both and choose a size between both measurements. Also, to determine how to measure ring size exactly, it is wise to measure your finger a few times throughout a given day. As your skin temperature fluctuates throughout the day, so does your finger size. Even eating certain foods or engaging in particular forms of exercise and sports that require the use of your hands can cause minor swelling for short periods of time. Measuring your finger more than once will make for a more accurate reading in the end and save time and energy later on when you order your ring. Another weighty factor to bear in mind when you are determining how to measure ring size is to be aware of the fact that ring bands vary in width and diameter. As such, the wider the ring band is, the snugger it will feel on your finger. Allowing for a modicum of variance between ring bands will assist you in making accurate measurements and readings. This will also make it easier to order the best ring fit later on. For instance, if you are looking to purchase a ring with a width of roughly 6 millimeters or more, you will want to choose a size up from your usual one. If you choose a ring that contains a large jewel in the center, this will cause the band to appear wider and more raised than it is. In this case, it is always a good idea to order a size above your usual ring measurements so the jewelry piece will fit properly. In addition to the influences previously discussed, it is worth mentioning that fingers tend to swell if one is pregnant or taking certain medications. These factors would cause the finger to enlarge beyond its regular state of normalcy. In these cases, it might be necessary to order one ring size up to accommodate such temporary changes. If your ring size changes down the road or you find that your measurements are a hair off, it should be no cause for concern. In fact, most jewelers will only charge a onetime fee for resizing a ring, no matter how many alterations need to be made. Therefore, it should not cause you any difficulty to adjust the ring’s diameter to fit your needs at a later date, even if you had ordered a size up or down previously. There are few simple methods to use when deciding how to measure ring size in a way that is easiest and most effective for you. Whichever approach you land upon in the end is merely a matter of personal preference. Alternatively, as each method only takes a few minutes each, you can try all of them and compare the results for accuracy and preference. Before measuring your finger’s ring size, you will need a few supplies to get you started and on your way to purchasing your new jewelry piece. For the first method, you will simply need to grab some measuring tape and locate a ring size chart online. It is fairly straightforward to find a ring size chart as many jeweler websites post them for consumer use. For measuring purposes, also have a piece of paper and a ruler handy. In addition to online ring size charts, jeweler websites often post printable sizers. The ring measurements are listed on the printable ring sizers for ease of use and reading. Have a ruler handy to read your results later on. 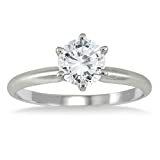 You will also need to have an online ring size chart pulled up to examine and understand your ultimate measurements. A second printable option to aid in concluding how to measure ring size is the printable circular ring size charts. These are also easily found online on many jeweler’s websites. The chart lists a variety of ring sizes along with their diameter in millimeters so that an accurate reading can be made. 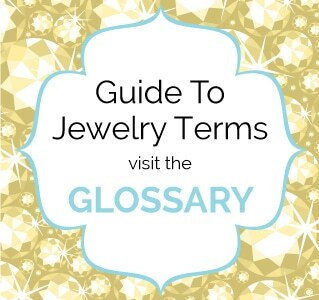 If you have a personal jeweler, try to use their specific chart. Circular size charts do not always result in readings as accurate as the other two methods. As such, using a chart from your jeweler alongside an existing ring in your collection will help you to verify the correct size for your next purchase. Your setting options on your printer should be set to prevent any size sensitive proportion enhancements. Now that you are ready to learn how to measure ring size, you are one step closer to locating the piece of jewelry that is just right for you. Each of the following methods requires only a short list of particular items to complete the measurements needed. 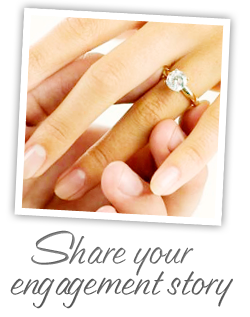 In just a few minute’s time, you will be able to determine your ideal ring fit with ease and clarity. If you use the measuring tape method, start by cutting off a long strip to allow plenty of room for mark-ups. Measuring tape made of cloth or plastic is best. Choose the finger you are selecting for the ring and wrap the measuring tape around it. Wrap close to the knuckle to ensure accuracy as this is the widest part of your finger. Using a pen or pencil, mark the area where both sides of the tape meet. Unwrap the tape and spread it against a piece of paper. Using the tape as a ruler, clearly, mark the distance between the points on each side where the tape met on your finger previously. Next, hold the marked paper up to a ruler to read the distance between the two marks you just made. Depending on the jeweler you are going to be purchasing your ring from, you will need to note the final measurements in either inches or millimeters to determine your final sizing. Once you have determined your ring size in inches or millimeters, go ahead and refer back to the online size chart you located previously. The chart will list measurements in millimeters and inches, along with their corresponding ring size. 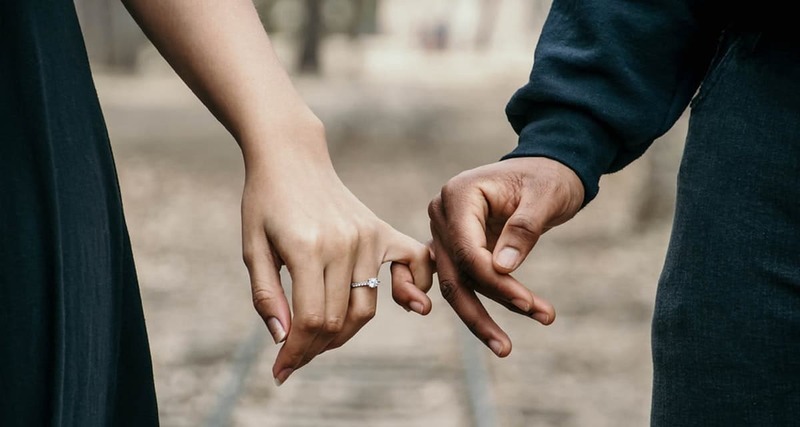 As an example for women, if your finger has a diameter of 14 millimeters and a circumference of 44.1 millimeters, your ring size would be a U.S. size 3. Alternatively, if your finger has a diameter of 14.9 millimeters and a circumference of 46.6 millimeters, your ring size would be a U.S. size 4. For men, if your finger has a diameter of 18.1 millimeters and a circumference of 57.1 millimeters, your ring size would be a U.S. size 8. If your finger has a diameter of 18.89 millimeters and a circumference of 59.3 millimeters, your ring size would be a U.S. size 9. As you learn the system of measurement and start to compare your calculations against ring size charts found online, you will be able to ascertain and compute your standard ring size with greater ease. 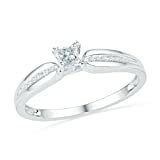 If you are unsure about your ring size at any given time, simply go back and re-measure it to compare it to the chart. In that way, you can easily identify if any resizing is necessary or alterations need to be made. 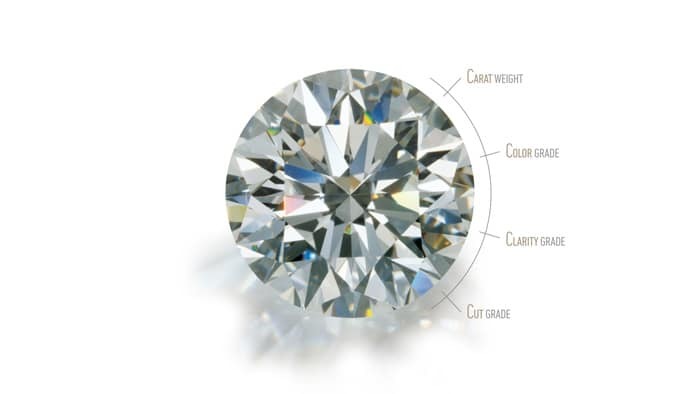 If you found a page with printable dimensions on a jeweler’s website, all you have to do is cut out the diagram that details how to measure ring size. 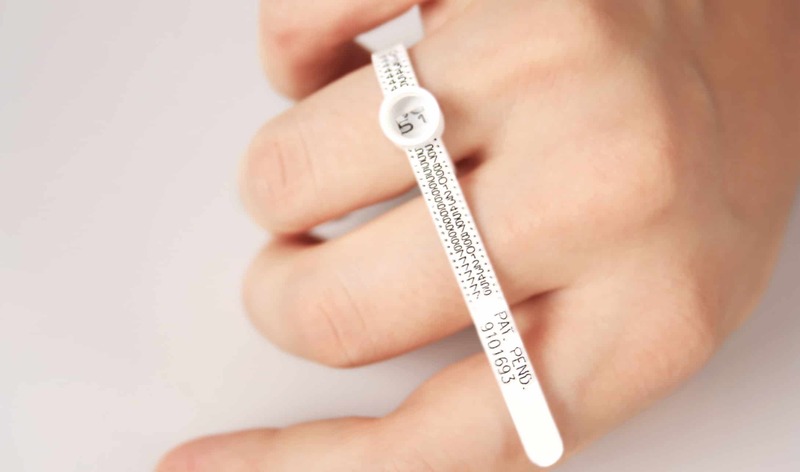 Some paper ring sizers have a ruler printed on them for measurement purposes. A few have latched cut-out options that allow you to wrap the piece of paper around your finger and insert a tab in a small slit on the other side, forming a secure paper ring. Whichever you choose, when you wrap the piece of paper around your finger, leave a little extra wiggle room to ensure an accurate fit. Paper does not fit precisely against the finger as tape does, so leaving some additional space to allow for a slight margin of error is key. As with the measuring tape method, go ahead and mark the area where the paper meets on your finger. Unwrap and hold the paper ring sizer straight and even against the ruler to make the reading. Compare the final dimensions to the online size chart to ascertain your actual ring size. ADJUSTABLE - One Size Comfortably fits all fingers with a simple bend. Wearing a birthstone is a classic way to make a statement! Celebrate your own birthday, the birth of your children, or anyone that is special in your life! This SWAROVSKI Crystal Set Birthstone Ring is Plated in 14K Gold to ensure a very long lasting brilliant finish that is nickel free, lead free and hypoallergenic. Our SWAROVSKI Birthstone Ring Opal Ring is ADJUSTABLE: Fits most finger sizes. A firm bend can adjust to size. The final method you can use in learning how to measure ring size involves using the circular sizing chart. To begin, find a ring in your collection that fits the particular finger you are trying to measure. If your sizing chart was printed off of your personal jeweler’s website, try to use one of their rings so you can measure to as a close a point of accuracy as possible. If you do not have a specific jewelry store you frequent, try to pick an online circular size chart with as wide an array of measurement options and as much detail as possible. That way, you can measure your ring up against the assortment and choose the one closest to your actual size with greater understanding and accuracy. Whichever ring you choose to measure against the circular size chart, pick one that fits you comfortably. It should not feel snug against your finger, nor should it be slipping off. It should leave you enough room to go about your day comfortably and without impediment. Slip it onto the exact finger you are trying to measure as each finger on both hands will vary compared to the other hand’s respective finger. Once you have tried on your ring of choice and ensured that it fits well on the finger in question, take it off and start holding it up against the circles on the ring sizing chart. The chart will list what each ring size is in correlation with its diameter. The circles on the chart should line up exactly with the inside of the ring you just tried on. As always, if you find yourself undecided between two separate sizes, opt for the large one. Given the fact that everyone’s fingers tend to swell and shrink throughout any particular day, as well as the somewhat loose parameters of the circular chart, choosing the larger of the two will result in the fit closest to your actual size. When you’re proposing the ring needs to slide on her finger to have success. Likewise, do not align the circle on the chart with the outer rim of the ring. This can result in inaccurate measurements that are far smaller than what you will need to order. Choosing the perfect ring is a uniquely special occasion, whatever the reason may be. 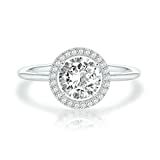 Knowing how to measure ring size will be of great use to you as you embark on your journey to select the perfect piece. The ring you are looking to purchase may serve as a beautiful piece of adornment to complete your other pieces of jewelry. Perhaps it will serve to signify the bond of love between two people that can never be broken. A ring may also be a promise, a token of affection or esteem, or memory shared between friends. No matter what it signifies, it is important to select a ring that if you so desire, can be worn throughout every season and walk of life. Whenever you select the ring of your choice, you will be equipped, knowledgeable, and able to assure the size you need to order quickly.